Typically, downscaling in motorsport is never a good thing. 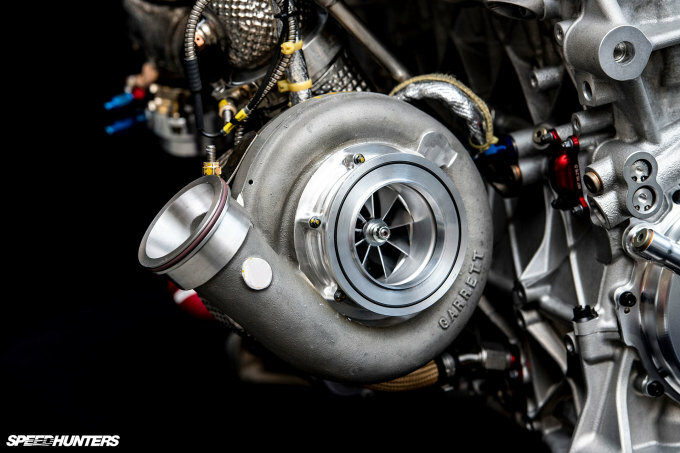 While we understand that – sometimes – needs must, the news that the Deutsche Tourenwagen Masters would replace their naturally aspirated V8s with turbocharged inline-fours in 2019, was generally met with at least a little bit of apprehension. Much like other series’, the soundtrack of DTM in recent years was part of the allure for the casual fan. 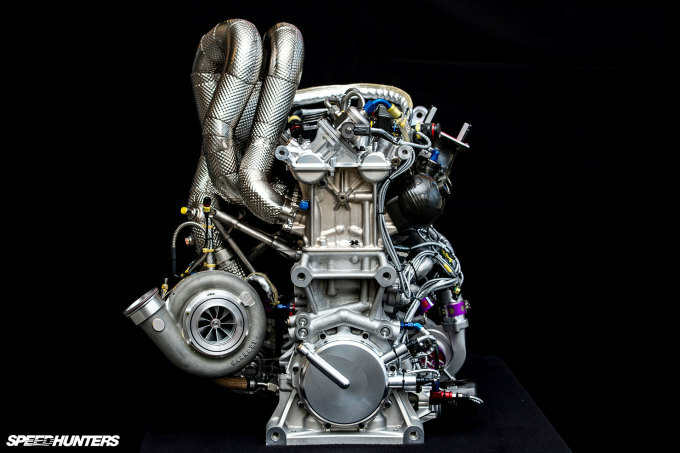 While teams must now follow an all new set of engine regulations for the forthcoming season, along with following strict fuel restrictions of 95kgs per hour, it almost could have been bleak. Almost. Instead, these new restrictions and regulations have inspired the engineers at Audi Sport to get creative, as I’m sure they also have at BMW and Aston Martin, who will be the first non-German team in DTM since Alfa Romeo left in 1996. Where the previous V8s peaked at over 500hp, the new inline-fours will start their careers with over 600hp, but that’s not the only talking point around these new engines. With a maximum capacity of 2.0-litres, the new turbocharged engines feature a 30hp ‘push-to-pass’ feature along with anti-lag and a shift point of 9,500RPM. It will achieve these figures running fairly ordinary 98RON pump fuel, roughly equivalent to 93-octane in the US. Mounted longitudinally, the cars remain rear wheel drive. That’s not all, either, as there’s a significant weight saving with the new engines, too. 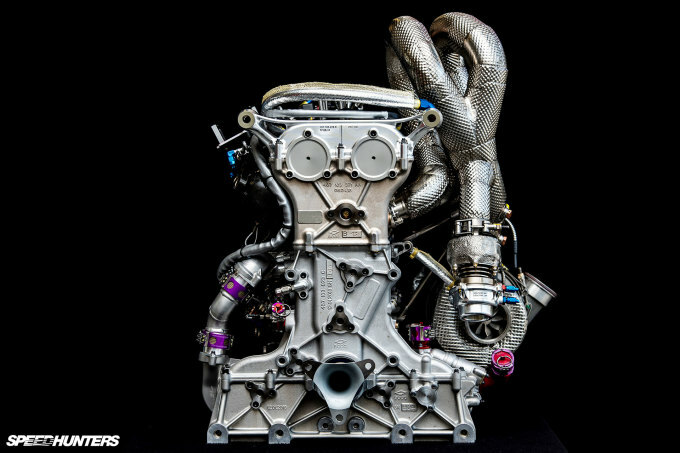 The previous V8s weighed 148kgs (326lbs) but the new motors weigh just 85kgs (187lbs) instead. This brings the overall weight of the RS5 DTM to sub-1000kgs (2204lbs) resulting in a power-to-weight ratio of approximately 1.6kgs per horsepower. From our perspective, maybe the most interesting aspect of all this is that the regulation which states that an engine must last an entire season has been retained. Where the famous turbo Formula One engines of the ’80s were all but disposable, these motors need to survive some 6,000kms (3,728miles) split into multiple, short sprint runs across nine rounds. This new 2.0-litre TFSI has been designed and built from scratch, requiring roughly 2,000 new components. Its lightweight design features some new approaches which will potentially find their way into Audi’s production cars in the future. If the result of these DTM regulation changes mean that we can go faster, for longer in the near future, then consider us fully on-board.